Are you looking for a Redmond home or would like to get more detailed information about the area? Feel free to contact us today and we will provide you with more info. Redmond is bordered by Kirkland to the west, Bellevue to the southwest, and Sammamish to the southeast. Unincorporated King County lies to the north and east. The city is situated at the north end of beautiful Lake Sammamish, with the Sammamish River running through its center. The first settlers arrived in Redmond in the 1870s. Luke McRedmond filed a homestead claim for land next to the Sammamish River on September 9, 1870, and the following year Warren Perrigo took up land adjacent to him. The rivers and streams had so many salmon that the settlement was initially named Salmonberg. After McRedmond became postmaster in 1883, he successfully petitioned to have the name changed to Redmond. 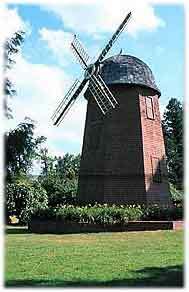 After the Second World War, Redmond's growth began in earnest. The city grew over thirty times larger in area through annexations between 1951 and 1967. Like many of the other cities on Seattle’s Eastside, the building of the Evergreen Point Floating Bridgeacross Lake Washington in 1963 allowed Redmond to flourish as a suburb of Seattle. In 1978, the U.S. Census Bureau proclaimed Redmond the fastest growing city in the state. Many technology companies made the city their home, and the increasing population demanded more retail shops. Redmond underwent a commercial boom during the 1990s, culminating in 1997 with the opening of Redmond Town Center, a major regional shopping center on the site of a long-defunct golf course. Redmond is part of the highly regarded Lake Washington School District. The public schools in Redmond include nine elementary schools, three junior high schools, and Redmond High School. Three private schools offer secondary education: the Overlake School (secular), the Bear Creek School (Christian), and the Conservatory High School (for performing arts students). Redmond also hosts two colleges, one of which is unique: DigiPen Institute of Technology, a college run by Nintendo, designed to teach students the art of video game creation. Lake Washington Technical College is also located in Redmond. Redmond is home to many large technology companies. The largest employer in the city by far is Microsoft Corporation, with over 22,000 full-time workers and more than 8 million square feet of office space. Other companies with headquarters in Redmond include Nintendo of America, Eddie Bauer (who will be moving to Bellevue in 2007, Data I/O Corporation, SpaceLabs, Genie Industries, and Medtronic Emergency Response Systems. Redmond was also the home of AT&T Wireless, which has since become a part of Cingular, who still has a major presence in the city. Marymoor Park - Redmond is home to one of the most popular parks in King County, Marymoor Park. Marymoor is a 560 acre park, featuring a climbing rock, model airplane flying field, a large off-leash dog park, an outdoor theater and a velodrome. It also has some of the nicest trails in the area, where joggers and bikers can be found daily. It also has some of the nicest trails in the area, where joggers and bikers can be found daily. Willows Run Golf Course - 36 Holes of great golf in the heart of the Eastside. A ruralish course, with a great restaurant.